Beatles FAQ: 10 fun facts about Yesterday? 10 fun facts about Yesterday? YESTERDAY is the most recorded song of all time. Over 3,000 recorded versions have been released since 1965. The working title of YESTERDAY was 'Scrambled Eggs' It opened with the unpromising Scrambled eggs/Oh how I love your legs. 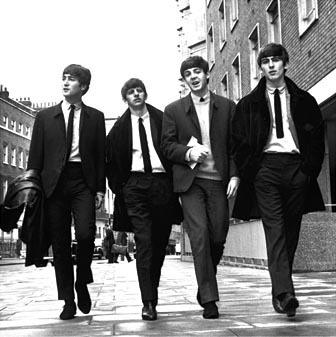 George Martin said he first heard a version in January 1964. He allayed McCartney's fears that he had inadvertently plagiarised the melody. McCartney experimented with the song for 18 months, finally recording it in June 1964. In 1986 YESTERDAY entered the Guinness Book of Records as the most recorded song of all time - there were 1600 versions then and an estimated 2000 now. Lennon refers to YESTERDAY in HOW DO YOU SLEEP, the song he wrote attacking Paul (not his finest hour!). Ironically he was often credited with writing the song by fans. I go to restaurants and the groups always play Yesterday. Yoko and I even signed a guy's violin in Spain after he played us Yesterday. He couldn't understand that I didn't write the song. But I guess he couldn't have gone from table to table playing I Am The Walrus.